Since 1995, Compliance Solutions, the nation's largest provider of OSHA HAZWOPER Training has offered "Open Enrollment" 24-Hour HAZWOPER Training. Our classes are available in twelve different cities each and every week! These highly interactive Instructor-Led seminars meet or exceed OSHA's mandated training requirements under 29 CFR 1910.120(e) - HAZWOPER (40, 24, 16 & 8 Hour) as well as states with their own OSHA plans. This instructor-led training seminar is designed to "upgrade" the 24-Hour HAZWOPER certification under 29 CFR 1910.120(e) to the full 40-Hour HAZWOPER certification. If you initially took a 24-Hour (occasional site worker) HAZWOPER course and now have a requirement for 40-Hour HAZWOPER certification, this course eliminates the time and expense required to take the 40-Hour course in it's entirety. Students attending this course will receive the 16 additional hours of safety training (including a dress-out exercise) required under OSHA 29 CFR1910.120(e)(q). Workers attending the 16-Hour HAZWOPER seminar upgrade will cover health and safety procedures and personnel protection during work operations at hazardous material sites. Upon successfully completing this course, workers will be 40-Hour HAZWOPER certified under 29 CFR 1910.120(e) to participate in site clean-up and other related activities. Students will be issued a new 40-Hour HAZWOPER certificate and wallet card after completing the seminar and a certification exam. In order to issue a new certification, you need to provide a copy of the original 24-Hour certification. For this reason, you will be required to send a copy of the 24-Hour certificate (and any interim refresher courses) after you register for the course. 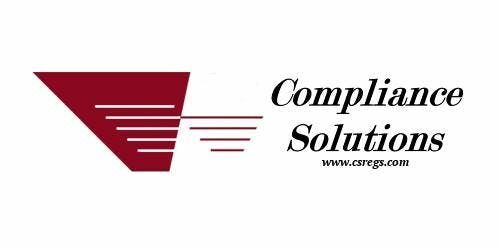 Special Pricing for Compliance Solutions Students: If you took your 24-Hour HAZWOPER Training with Compliance Solutions, you will receive a $125.00 per student discount off our listed price. Verification of training is required prior to receiving the discount. Please call 800-711-2706 Ext 1 for questions. Note: This event does NOT issue paper tickets. After registration you will receive an email confirmation from Compliance Solutions that incoudes the date, time and location of your class. Prior to registering read a copy of our cancellation and refund policy. Once registered, you acknowledge you have read and agree to this policy and provisions.